Boyfriend's birthday coming up? And you are bored with the same candlelight dinners and gifting him what he loves like his favorite brand t-shirts, wallets or shoes. 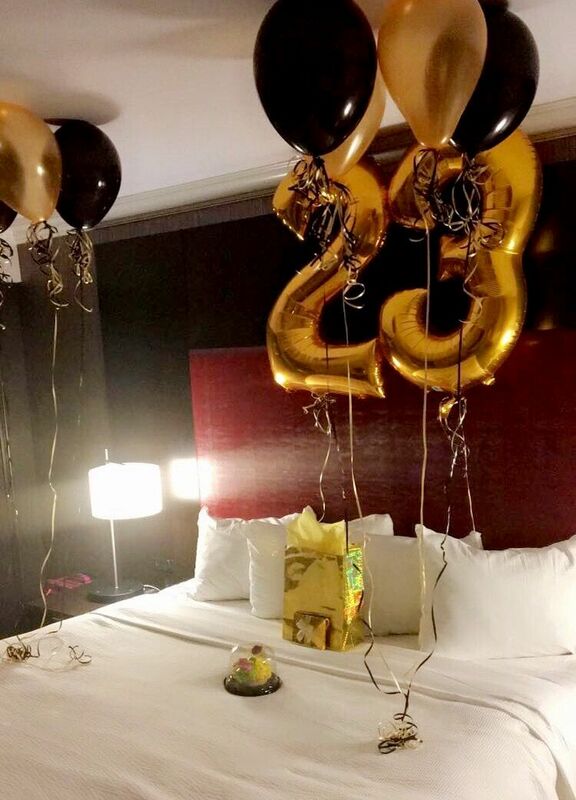 These things obviously make him happy but remember, on your birthday he goes an extra mile to make your birthday special and unique. Now it's your turn to make his birthday special, we have come with great ideas which can surprise him and who knows you get better return gift for this (wink wink). Make a video of your most memorable days with a message of yours within it. Give nice and romantic background music and make it cheesy with your cheesy photos. Help his day to start with a smile on his face. They say the way to man's heart is via his stomach. Make him his favorite dishes and his favorite flavor of cake. He will be happier getting this than his gifts. Place various gifts at different locations of the house and leave a note everywhere giving him hints where his next gift is placed. Trust me, the ending is even more fun and you will get the best gift in return if you know what I mean. Call all of his friends to surprise him for a party. This will make him the happiest one because we all know boys love their brothers. Call his favorite singer or plan in a place, which is his favorite. Plan an exotic trip to a romantic place, be adventurous and explore new things together. Don't forget to make it special for you both. Every man has different fantasies, fulfill his fantasy and you will see his shining and grinning face, which you have never seen it before. He will mark this day the happiest day of his life. Decorate his room with flowers, candles and your photos in it and leave a love letter in his room at the end of the day. Trust me he will sleep with a smile on his face and hugging your photos. When you are in the dating zone, it's the only time when you try new things together. Don't be obvious with the surprises, give a surprise to him that can really blow up his mind and these ideas will. So, next times do try this and let us know his reaction.